Skènè starts from the idea that people play games to grasp the space that surrounds us, to organize it so that it will never escape us. Gilles Deleuze quotes the example of a child in the dark who comforts himself by singing under his breath and coordinating his movements to this song. 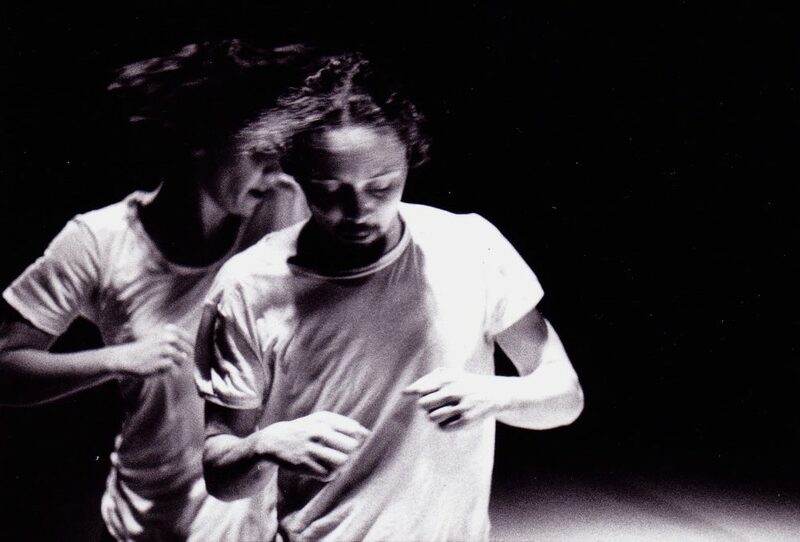 In Skènè, Etienne Guilloteau and Claire Croizé similarly portray two people who have to find their way in the chaos and empty space of the stage. The sense of abandonment that is summoned when Croizé starts off alone on stage stays with us even when Etienne Guilloteau joins her, accompanied by the sounds of a Mozart piano concerto. Their movements follow the music in a way that is almost automatic, but devoid of contact. Despite the unisono of the two dancers, there is no direct communication. Skènè shows us that we always remain alone in the dark.